Your kids have just started school again, and you’re trying to catch up on everything you didn’t have time to do during the summer. Everyone’s excited, exhausted, and very likely in desperate need of some truly delicious comfort food. 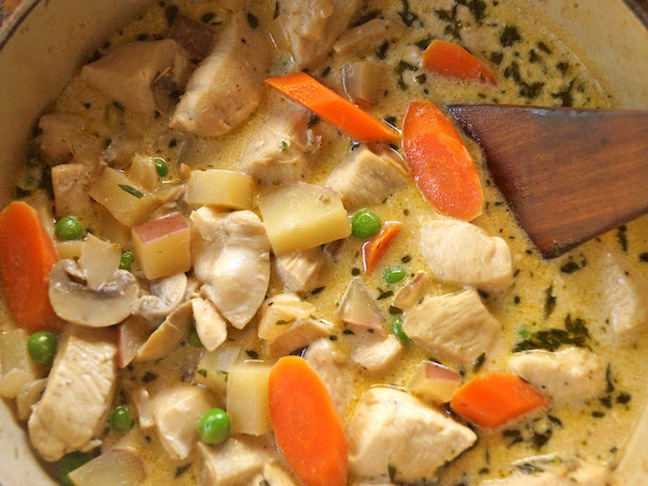 If you’re thinking there’s no time for comfort food today, think again. 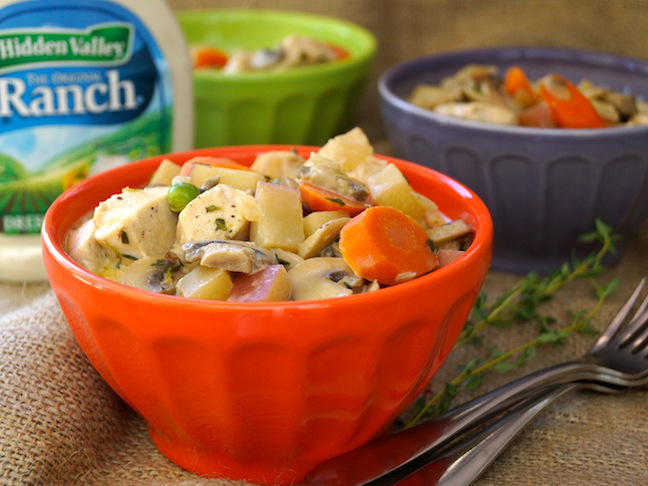 With the addition of Hidden Valley® Original Ranch® dressing, this one-pot meal is the essence of comfort—it’s rich, creamy, hearty, and nutritious to boot! This is the sort of meal that inevitably brings the family together to regroup and catch up after a long, busy day. 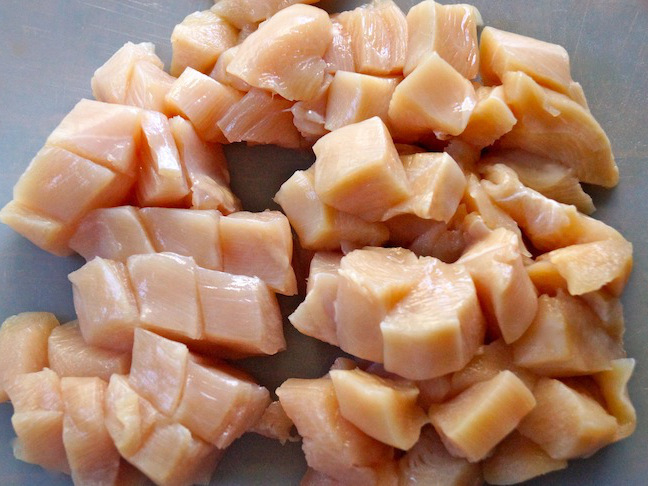 Step 1: Place the chicken breasts on a clean dry surface and cut them into bite-sized pieces. Step 2: Coat the bottom of a deep sauté pan or Dutch oven with olive oil and place it over medium-high heat. Step 3: Sprinkle the chicken with salt and pepper and add it to the pan. Stirring occasionally, sauté just until it's cooked through but not yet browned, about 5 minutes. 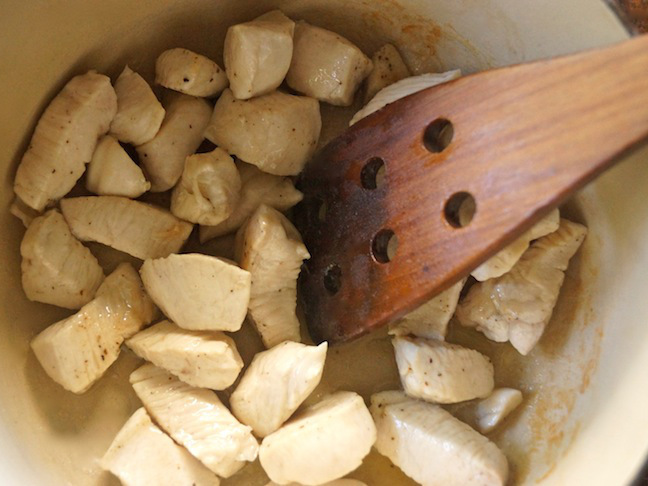 Step 4: Spoon the cooked chicken from the pan onto a large plate, cover with foil, and set aside. Step 5: Keeping the heat at medium-high, add the onions and garlic and sauté until soft, about 4 minutes. 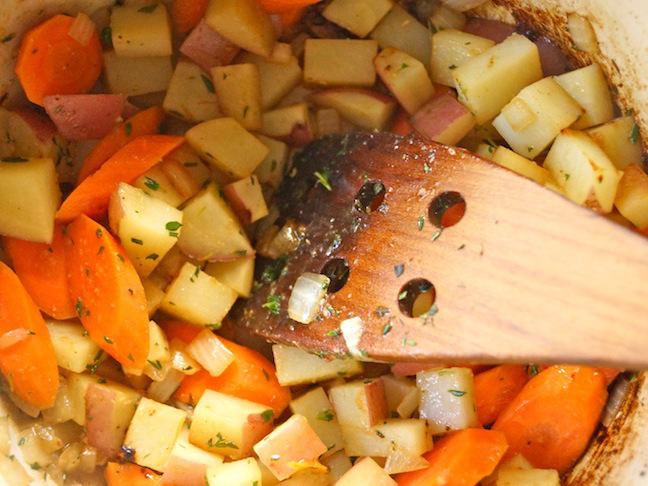 Step 6: Add the thyme and carrots, stir, and cook for about 2 minutes. Then add the potatoes, stir, and cook for another minute or so. Step 7: Cover the pot, turn the heat to medium-low and let the vegetables steam until they are softer, but not all the way cooked through, about 5 minutes. Step 8: Pour in the chicken stock, add the mushrooms and stir to blend. 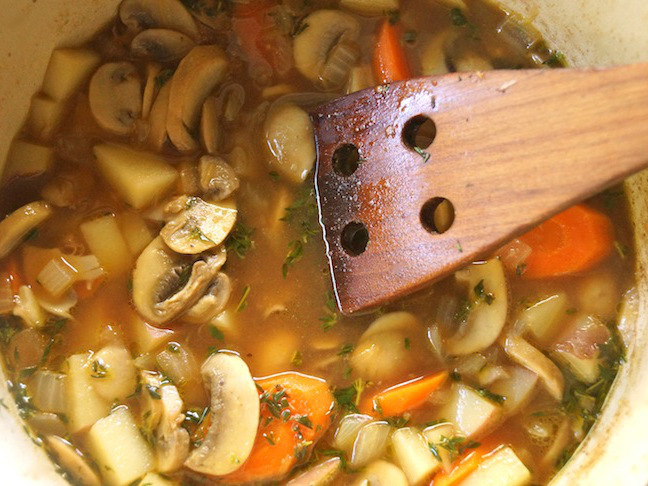 Cover the pot and simmer until the vegetables are fully cooked, about 10 minutes.